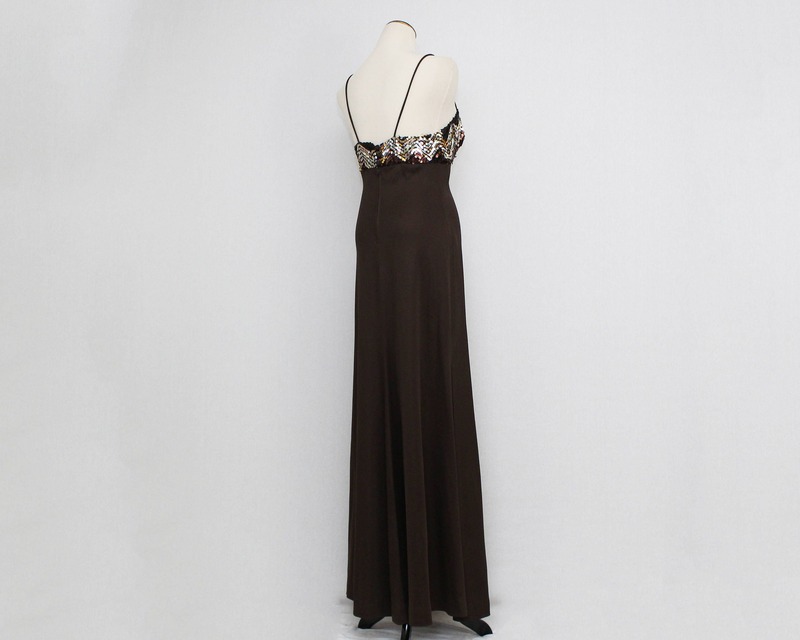 A darling party girl dress in a deep chocolate brown with a bust adorned with metallic sequins in gold, black, silver, and copper. 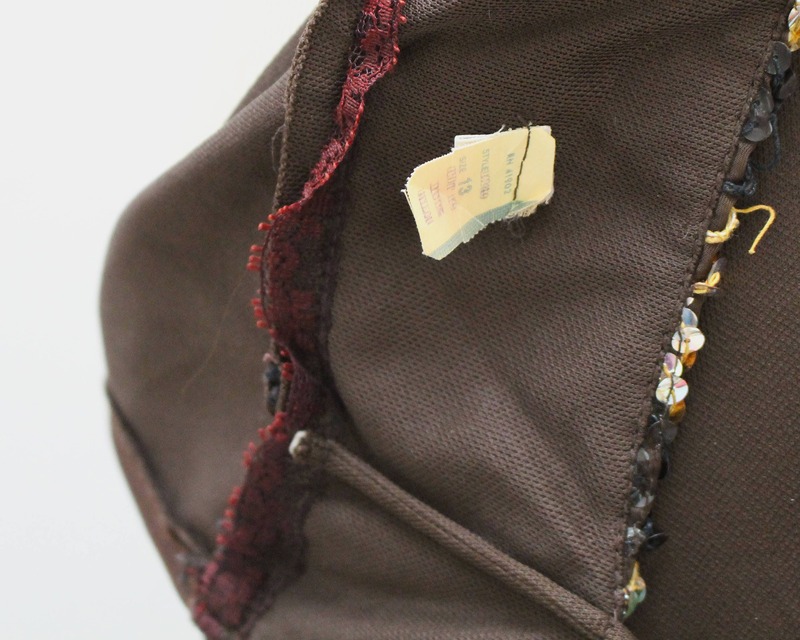 Unlined, and zips at the back to three fabric covered buttons and loops. Spaghetti straps show some stretch from the weight of the dress hanging, but they can easily be pinned or tailored to your preference. Noted flaws include minor pulls in the skirt and bodice, and some more obvious pulls in the fabric under one arm.